Chris Pratt & Spencer Pratt Enjoy A ‘Family’ Reunion — Wait, Wha?? 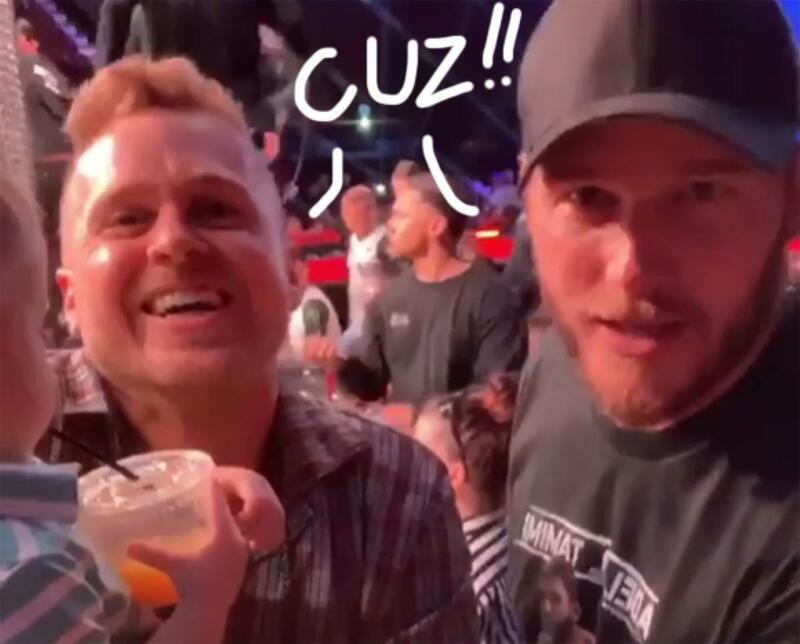 Home › Chris Pratt › Chris Pratt & Spencer Pratt Enjoy A ‘Family’ Reunion — Wait, Wha?? Ever wonder whether Chris Pratt and Spencer Pratt are related? We’re sure they both get that all the time, but no — the celebs just happen to share a surname. However, they are apparently brothers from another mother, as they clearly share a silly sense of humor! Both Pratts were in attendance at Saturday night’s Bellator MMA event at the Forum in Inglewood, California — and when they realized they had to take a sec to joke about their names. See the Pratt “family outing” vide (below)! Looks like it went pretty well!